Charles Mingus brought together an amazing lineup spanning the totality of the nation's jazz scene with such luminaries as Eric Dolphy, Buddy Collette, Clark Terry, Zoot Sims, Pepper Adams, Jaki Byard, Grady Tate, and more. 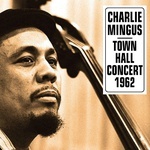 Brought together to perform new Mingus compositions for the first time in public, the recording was initially considered weak due to limited rehearsal time but the years have been kind to this recording and it's a fantastic set of Mingus compositions, including the powerful "Freedom" which rivals the works on Mingus Ah-Um (1959) for its strength of purpose and message, in a similar vein to Max Roach's legendary We Insist! album (1960). Mingus is one of the most important figures in 20th century music and this live recording documents his compositional and arranging prowess as well as sheer swinging joy. Collecting some of his most important recordings, this is Duke Ellington and his Orchestra in late 1927 and early 1928, at the peak of their "roaring '20s" popularity. This was also at the beginning of the Ellington Orchestra's famed run at Harlem's Cotton Club, a legendary jazz club and host to some of the biggest names in the history of the music. Featuring the beautiful voice of Adelaide Hall, this collection includes some of his most highly regarded compositions and titles such as "The Blues I Love To Sing", "Jubilee Stomp", "Washington Wabble", and "Creole Love Call". In a career that spanned decades and countless accolades, these might be the finest recordings Ellington ever made. 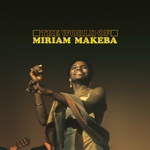 Down At Dawn present a reissue of The World Of Miriam Makeba, originally released in 1963. The brilliant South African singer Miriam Makeba first found international recognition after being "discovered" in America by the wonderful Harry Belafonte who inspired her move to NYC and championed her talent to anyone who would listen. A subsequent recording contract began her half-century long career of international stardom. Combining Afro-pop with jazz and western pop music influences, Makeba created a sound that was uniquely her own and inspired generations of singers to come. A life-long, anti-apartheid activist and humanitarian, Makeba is recognized around the globe as being one of the most important singers of the middle-20th-century. With conducting assistance from the legendary South African trumpeter, Hugh Masekela, this is Makeba's third album, originally released in 1963, and a stunning example of her modern Afro-pop sound. 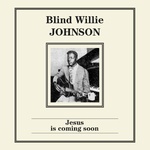 Down at Dawn present a collection of Blind Willie Johnson's recordings titled Jesus Is Coming Soon. No other singers like Blind Willie Johnson caught the essence between deep blues and raw gospel. A deep mixture of sanctified lyrics and raw sliding guitar. Jesus Is Coming Soon consists of a selection of 17 tracks from the 1929/1930 recording sessions including the unprecedented masterpiece of "Dark Was The Night, Cold Was The Ground". Down At Dawn present a collection of Blind Willie McTell's recordings titled Drive Away Blues. 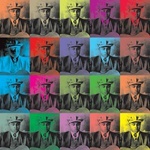 "And I know no one can sing the blues like Blind Willie McTell." That's what Bob Dylan said about Willie McTell the great singer and guitarist from Piedmont. The uncommon Atlanta street musician and twelve-string guitar specialist. A master interpreter in various styles from country blues to gospel to ragtime. 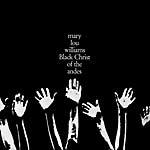 Down At Dawn presents a reissue of Mary Lou Williams's Black Christ of the Andes, originally issued in 1965. One of the highly regarded pieces of music by the great pianist and composer Williams, the concept behind Black Christ Of The Andes is about the ideal meeting between jazz and the spiritual, from the dark, smoky atmospheres of the Devil's music to the luminous sound of the African-American Church. A very enjoyable record made up of different materials like "Jump Blues" numbers, a cappella choral pieces and some striking piano trio cuts. All arranged and conducted by the great Melba Liston and featuring performances of jazz luminaries such as Milt Hinton, Grant Green, Percy Heath, and Williams herself. 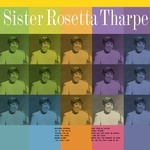 Down At Dawn present Sister Rosetta Tharpe With The Tabernacle Choir. All the deep fervor of gospel is contained in Sister Rosetta Tharpe's voice. A unique blend of devotional spirit and secular dance music. Among inspirational songs, up-tempo rhythms, ballads, and with the vocal support of the Tabernacle Choir, this disc represents a fine introduction to Tharpe's soulful take on gospel, blues, and even jazz. 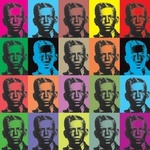 Down At Dawn present a collection of Charley Patton's recordings titled I'm Going Home. At the very root of American music through the voice of one its originator. The so called "Voice of the Delta" aka Charley Patton. A great introduction to his world and music with a bunch of literally immortal songs coming from Patton's legendary early thirties recording dates. "Mississippi Boweavil", "Tom Rushen Blues", and "High Water Everywhere" are just a few of the timeless classic tunes selected here. Down At Dawn present a reissue of Donald Byrd's Fuego, recorded in 1959 and released by Blue Note in 1960. 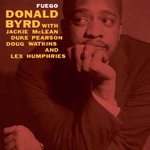 Fuego features trumpeter Donald Byrd at the head of an all-star quintet with Jackie McLean on alto sax, Duke Pearson on piano, Doug Watkins on bass, and Lex Humphries on drums. A fine classic Blue Note album with the magnificent Byrd-McLean horn section driving the combo through different sound territories from a hard bop to soul jazz to post bop. Down At Dawn present a reissue of Doin' The Thing At The Village Gate, originally released in 1961. 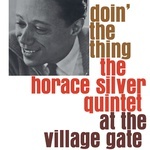 Doin' The Thing At The Village Gate consists of a 1961 live recording featuring the great pianist and composer Horace Silver and his most acclaimed quintet with trumpeter Blue Mitchell, tenor saxophonist Junior Cook, bassist Gene Taylor, and drummer Roy Brooks. A strong four-track live set full of soul, funk, hard bop vibes. Down At Dawn present a reissue of Ike Quebec's Blue & Sentimental, originally released in 1962. This is without doubt Ike Quebec's Blue Note masterpiece. The result of a 1961 recording date featuring a superb quartet including guitarist Grant Green, bass man Paul Chambers, and master drummer Philly Joe Jones. 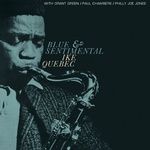 Mood and atmosphere seem to be the key words for the most of Quebec's music, while Blue & Sentimental, as the title suggests, speak volumes about the smoky late-night feeling of the whole album. The sensuous voice of Quebec's tenor sax shine through a dense sequence of blues numbers and soulful ballads. The Philadelphia-born singer Marian Anderson (1897 - 1993) is always remembered as the first African-American interpreter to enter the elitist world of opera and an important figure in the struggle for black artists in the context of the civil rights movement. 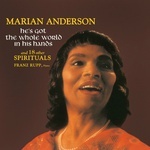 Spirituals showcases Marian Anderson as one of the most celebrated singers of the twentieth century. Her voice has been described as a rich, vibrant contralto of intrinsic beauty. Anderson, with only help from pianist Franz Rupp, gets deep in the world of Spirituals, delivering a long sequence of her favorite devotional songs interpreted with soul and grace. 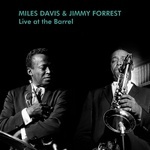 Down At Dawn present a reissue of Jimmy Forrest and Miles Davis' Live At The Barrel, originally issued in 1983 on Prestige. Recorded in the spring of 1952 at the Barrel Club in St. Louis, this is an inspired bop session of Davis and tenor sax player Forrest (then at the peak of his career). Davis and Forrest are joined here by the rhythm section of Charles Fox (piano), Johnny Mixon (bass), and Oscar Oldham (drums). This is a fine selection of standards including Dizzy Gillespie's "Night In Tunisia" and classics tunes such as "Perdido", "All The Things You Are", and "Oh Lady Be Good." 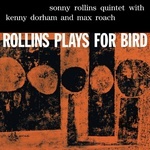 Down At Dawn present a reissue of Sonny Rollins's Rollins Plays For Bird, originally recorded and released in 1956. Recorded a year after Charlie Parker's passing, Rollins Plays For Byrd was the young Sonny's tribute to the bebop genius. 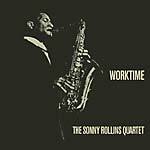 For the occasion, Rollins leads a fine quintet featuring Kenny Dorham on trumpet, Wade Legge on piano, George Morrow on bass, and the great Max Roach on drums representing here the closest connection with Parker. 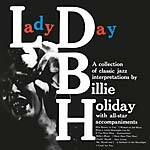 Down At Dawn presents a reissue of Billie Holiday's Lady Day, originally issued in 1954. Based on a very accurate selection from different recordings from the golden era 1935-1937, Lady Day consists of a gorgeous collection of classic performances by Holiday accompanied by a stellar cast of jazz greats such as Lester Young, Teddy Wilson, Benny Goodman and the great Count Basie's rhythm section with Freddie Green, Walter Page and Jo Jones. 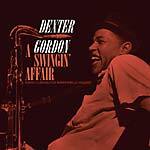 Down At Dawn presents a reissue of Dexter Gordon's A Swingin' Affair, originally issued in 1962. "Swingin'" is the key word for this great 1962 recording session with the Gordon's tenor saxophone, leading an all-star quartet including Sonny Clark (piano), Butch Warren (bass), and Billy Higgins (drums). The album opens with the infectious, Afro-Cuban groove of "Soy Califa", featuring the unique Higgins beat, and develops through some high class renditions of romantic standards such as "Don't Explain" and "You Stepped Out Of A Dream", plus the dynamic Latin rhythm of Warren's "Backbone". 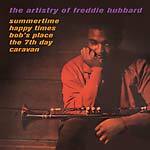 Down At Dawn presents a reissue of Freddie Hubbard's The Artistry Of Freddie Hubbard, originally issued on Impulse! in 1963. This explosive session, recorded in 1962, was young lion Freddie Hubbard's debut album for the label. For the occasion Hubbard displays a solid post-bop horn section with Curtis Fuller on trombone and the great John Gilmore on tenor saxophone in one of his rare appearances outside the Sun Ra Arkestra. The sextet is completed by an extremely dynamic rhythm section featuring Tommy Flanagan (piano), Art Davis (bass), and the super-swinging Louis Hayes on drums. 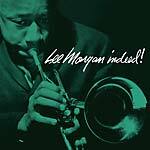 Down At Dawn presents a reissue of Indeed!, the debut album by genius trumpeter Lee Morgan, originally released in 1957. Recorded in 1956 at the very young age of 18, Indeed! is the result of a fine hard bop session featuring compositions by Benny Golson, Donald Byrd, Horace Silver and with Morgan leading his own band. The quintet features alto sax player Clarence Sharpe and a solid rhythm section with Horace Silver (piano) Wilbur Ware (bass), and Philly Joe Jones (drums). Down At Dawn present a reissue of Abbey Lincoln's That's Him!, originally issued in 1957. That's Him! 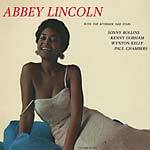 is Lincoln's second recording, with the singer accompanied by a stellar cast including Sonny Rollins (tenor sax), Kenny Dorham (trumpet), Wynton Kelly (piano), Paul Chambers (bass), and Max Roach (drums). Lincoln's highly original singing shines throughout a repertoire based on superior songs like "I Must Have That Man!" and "Don't Explain", two numbers closely associated with Billie Holiday, as well as Oscar Brown, Jr.'s "Strong Man". Edition of 300. Down At Dawn presents a reissue of the Horace Silver Quintet's The Stylings Of Silver, originally issued on Blue Note in 1957. 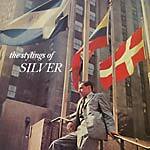 The Stylings Of Silver is one of the great and often-overlooked of Silver's mid-fifties Blue Note sessions, featuring a fine horn section with trumpeter Art Farmer and tenor sax great Hank Mobley, plus the hard driving rhythm section of Silver himself on piano, Teddy Kotik on bass, and Louis Hayes on drums. A super swinging set, The Stylings Of Silver, includes gems like the opening essential "No Smoking" and the classic ballad "My One and Only Love". Edition of 300. 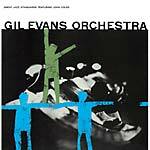 Down At Dawn presents a reissue of The Gil Evans Orchestra's Great Jazz Standards Featuring John Coles, originally released in 1959. This is a highly recommended set from the superb Gil Evans Orchestra, seeing the group playing stand-out arrangements of five jazz standards and a couple of originals. For this date, Evans recruited a 15-piece band including some great soloists such as trumpeter Johnny Coles, trombonist Curtis Fuller, the young soprano sax player Steve Lacy and last but not least a pair of differently great drummers in Denis Charles and Elvin Jones. Edition of 300. 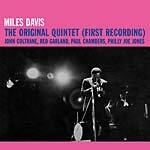 Down At Dawn present a reissue of Miles Davis's The Original Quintet (First Recording) , originally released on Prestige in 1963. In 1955, Davis played a beautifully received set at the Newport Jazz Festival and was offered a contract with Columbia Records if he could get a steady group together. In order to record for Columbia, Davis would first have to settle an obligation to Prestige and so he put together the now legendary quintet with John Coltrane, Red Garland, Paul Chambers, and Philly Joe Jones. 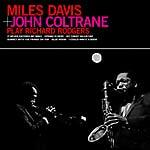 It was under these conditions, in a desire to churn out as many records as possible to change labels, that Davis recorded some of the most celebrated music of his entire career. This group, in the span of several months released a half-dozen LPs including this one and the great Cookin' (1957), Workin' (1959), and more. 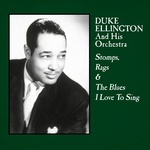 This title, originally recorded in 1955 features a great Duke Ellington piece, "Just Squeeze Me", the brilliant Davis original "The Theme", and several other great tunes, but most importantly it is the introduction to a group that features two towering giants of jazz together on some of the fieriest playing of either's career. Edition of 300. 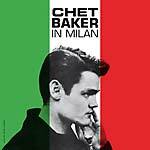 Down At Dawn present a reissue of In Milan, a rare studio date from Chet Baker's first trip to Europe. In Milan captures the king of West Coast jazz in Milan with a band specially assembled for these sessions that features some of the best Italian musicians of the time. The basic quartet includes Chet Baker (trumpet) Renato Sellani (piano) Franco Cerri (bass), and Gene Victory (drums). However, that unit is often upgraded to a sextet with Glauco Masetti (alto sax) and Gianno Basso (tenor sax). The cool spirit of Baker's music lives through some inspired fluid performances of American bop classics such as Miles Davis's "Tune Up" and Charlie Parker's "Cheryl Blues". Edition of 300.